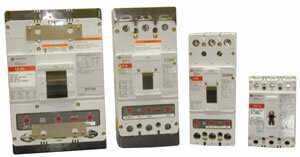 We offer all major brands of molded case circuit breakers and air circuit breakers. In addition, we have mounting hardware. 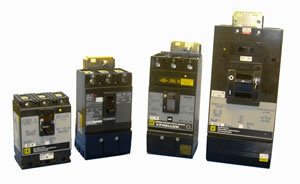 We also offer buss duct plugs, fusible switches and motor starters. If we don't stock it, we will try to find it for you through our network of over 500 Suppliers and Wholesalers Nationwide. Our service can make you $$$$$. We buy and sell Electrical Components. Call us with your excess inventory.